iTunes is known as the only official application that handles all iPhone data transfers between the device and computer, but this software isn’t very user-friendly, and sometimes when users trigger auto sync of iTunes by accident, the software will erase iPhone files. Therefore, many people want to find the best iPhone data transfer software to make up the disadvantages of iTunes such as transferring files from iPhone back to computer. The following post will introduce you top 5 pieces of iPhone data transfer software, and they all help you to manage iPhone easily. 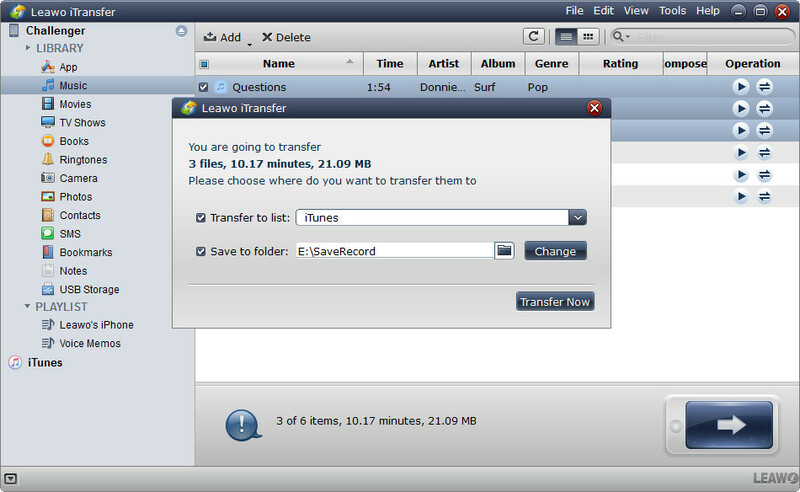 Without doubt Leawo iTransfer is a great choice when you want to get rid of iTunes. 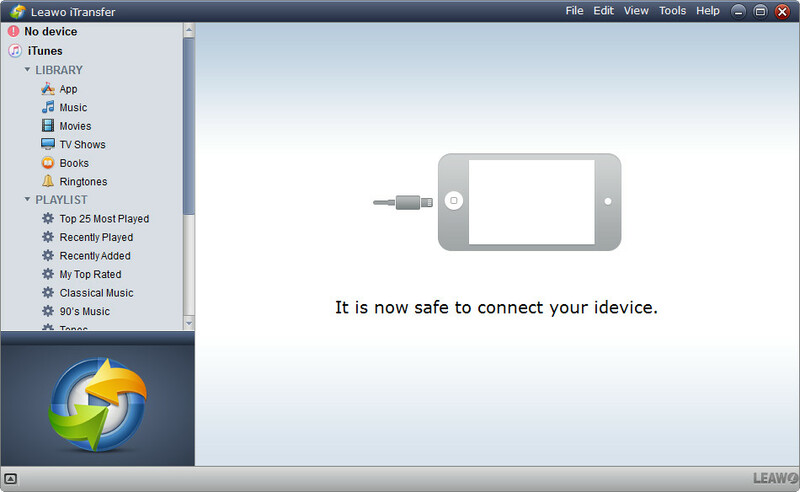 This software is used for transferring files among iOS devices, iTunes and computer, and it allows users to transfer files without iTunes. 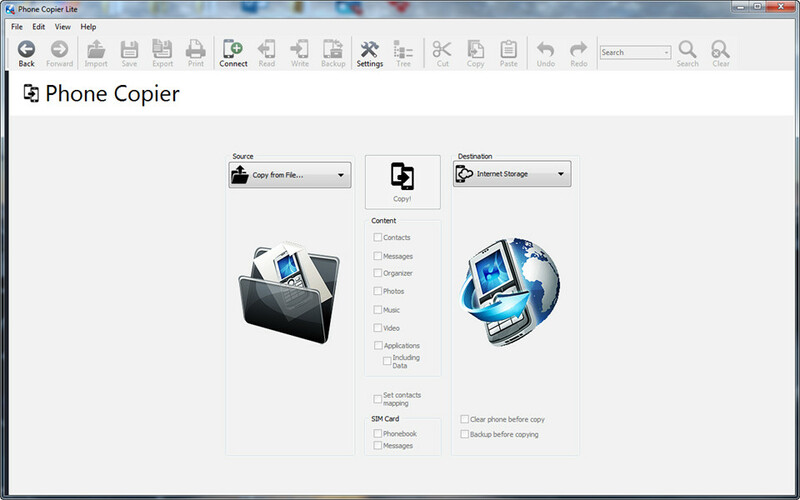 This software enables users to transfer various kinds of files, including music, contacts, videos, etc. What’s more, this iPhone data transfer software enables users to back up iPhone, iPad and iPod files to computer so that the users don’t have to worry about the sync of iTunes at all. Among all these programs, Leawo iTransfer can be regarded as the best. As mentioned, this iPhone transfer software enables users to transfer various kinds of files, including apps, music, movies, TV shows, ebooks, ringtones, photos, Camera Roll, contacts, text messages, bookmarks, and notes. With this iPhone data transfer software, you are able to fully handle your iPhone without messing up the data inside. The following guidance will show you use this iPhone data transfer software to transfer music from iPhone to computer, and you can free download the software to have a try. Step 2. Click the name of iPhone and choose Music in the left sidebar. The iPhone songs will display in the right part. Step 3. 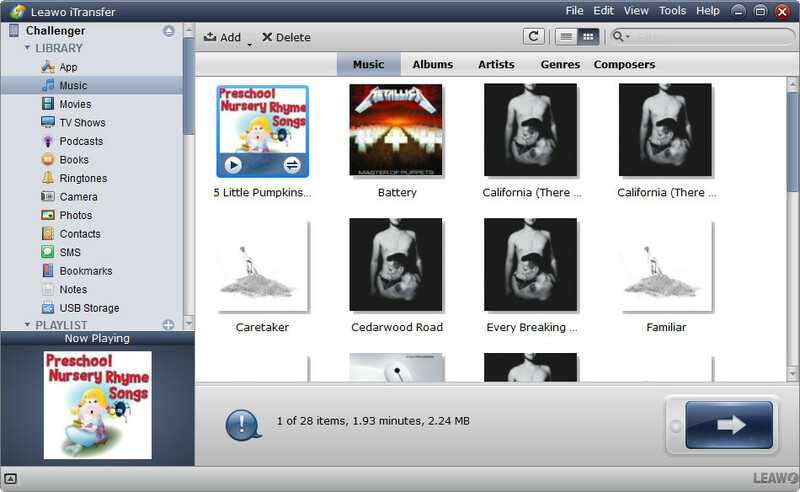 Check the square checkbox beside Name to select all songs, and click the transfer button at the right bottom. 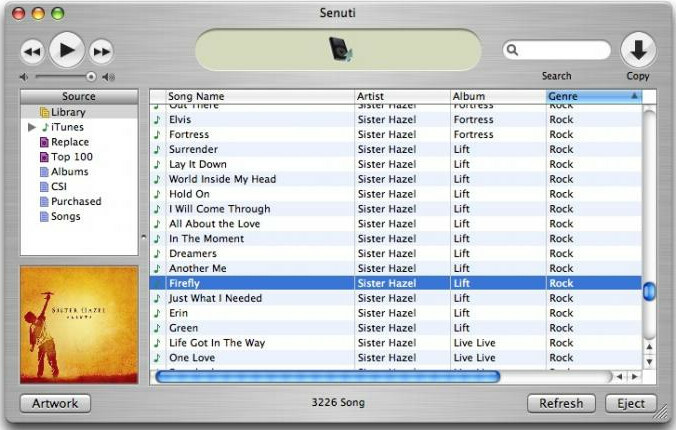 Or check the checkbox beside each song to select certain songs, and right-click a selected song, then choose Transfer to > My Computer. Step 4. After selecting files to transfer, you’ll see a pop-up dialog. 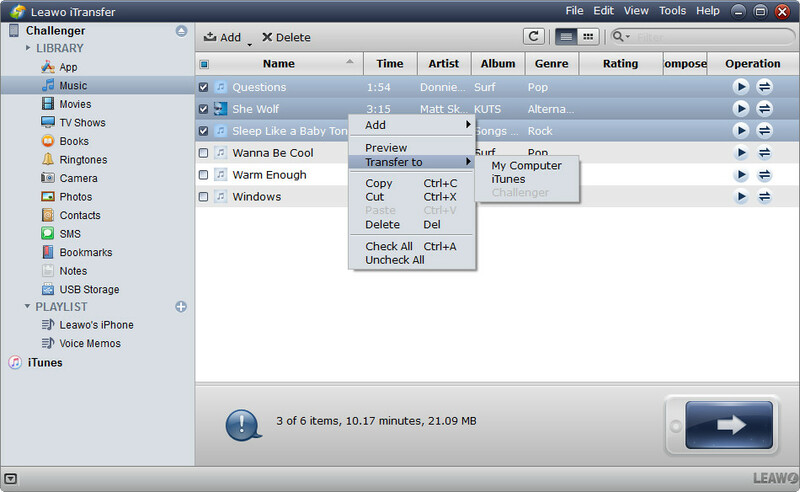 Check Save to Folder and click Change to choose a folder on computer to save the songs. Then click Transfer Now to start transferring music from iPhone to computer. When the transfer is finished, you’ll get the songs in target folder. 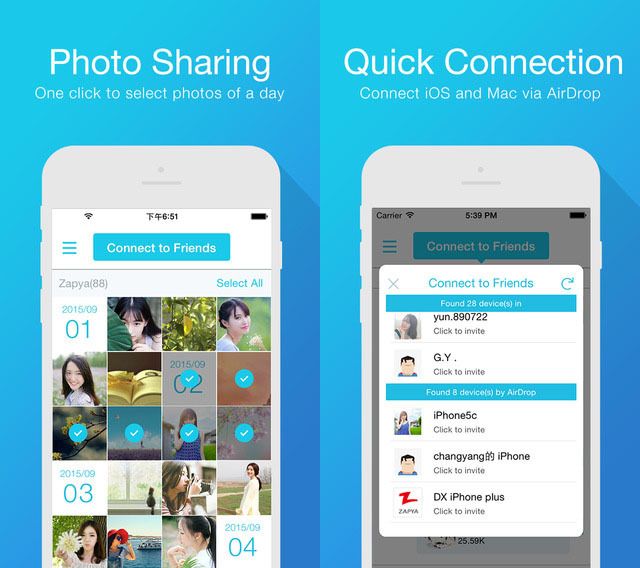 With Leawo iTransfer, you can do a lot of other data transfers for iPhone, iPad and iPod, for example, you can transfer photos from iPhone to iPad for an enjoyment. If you are interested in this iPhone transfer software, just check it out.